Do you ever wonder what it takes to lead a peaceful, happy life? 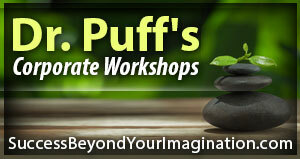 Are you curious about the specific steps involved in a self-actualized, limitless life? Are you struggling with anxiety or depression? Or are you just plain tired and want some help? We explore all these concerns and more every week on the Happiness Podcast, which has been downloaded over 7 million times since its inception. Happiness does not happen by chance, but because we take specific actions in our lives to create it. Dr. Robert Puff, Ph.D., author of 13 books, TV show host, Psychology Today blogger, and corporate trainer, has been studying the actions it takes to reach the highest levels of human achievement for decades, and he wants to share what he knows with you. 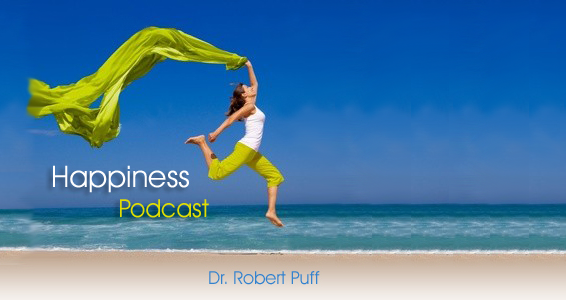 Come and explore, along with millions of others from the Happiness Podcast, Dr. Puff books, Psychology Today blog, and corporate workshop attendees, the specific steps to take so that you can soar in your life.